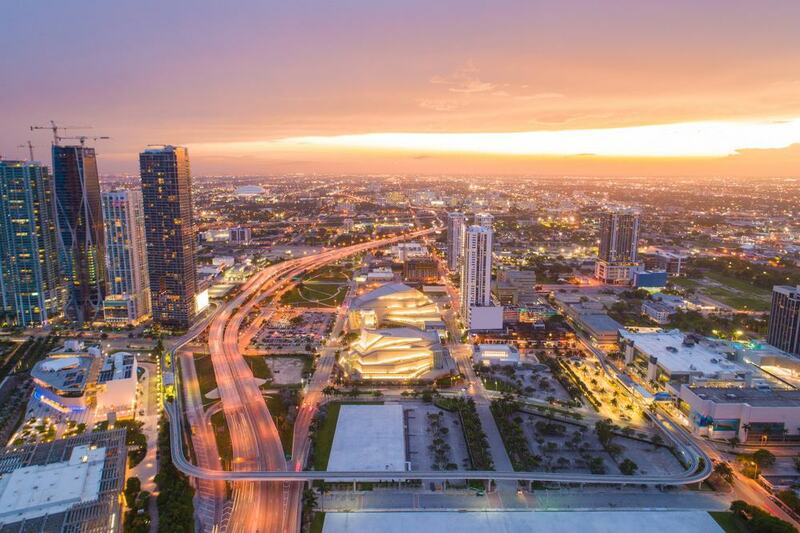 Located in south Florida’s Miami-Dade County, Miami is one of the country’s flashiest cities and was immortalized in the iconic ‘80s television series, Miami Vice. Back in the day much of the wealth came from the city’s meteoric real estate boom and the illegal drug trade. Italian sports cars and bikini-clad beauties are still everywhere, but even if you plan on visiting with kids, there will be plenty of wholesome things to see and do. 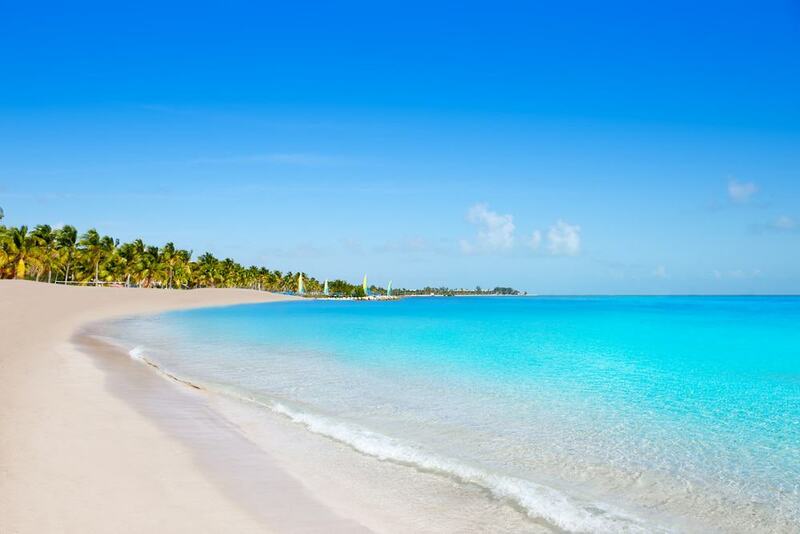 From arts and food to national parks and white sandy beaches, there’s a little something for everyone. 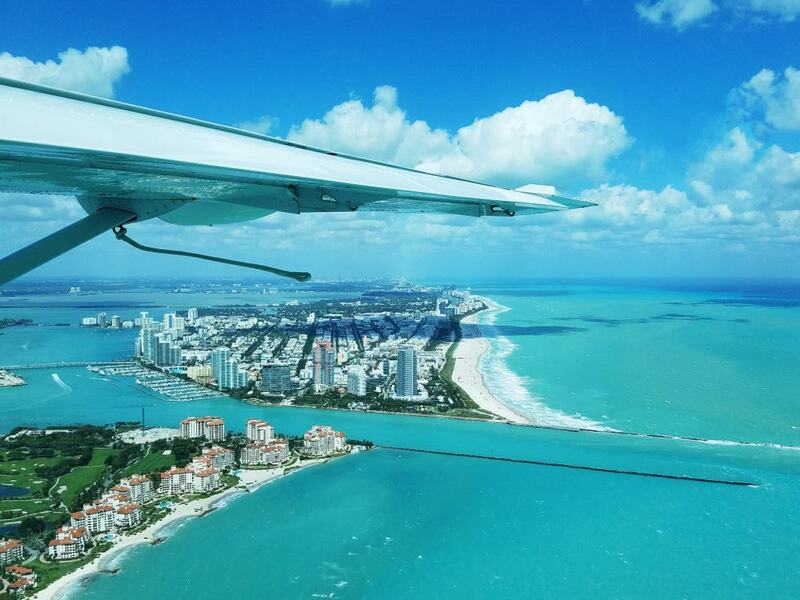 Below are 15 of the best tours in Miami. From movie stars and sports stars to the wayward children of Europe’s elite, it seems like nearly every high-roller the world over has a place to hang their hat in Miami. The most ostentatious homes are found near the city’s port, Miami Beach, and Fisher Island, and most of them are easily seen from the original Millionaire’s Row Cruise. The 90-minute boat tour is a great way to get an overview of the city’s layout. You’ll see some amazing natural and manmade sights that seem to blend well in this blue sky and palm tree laden playground of the rich and famous. 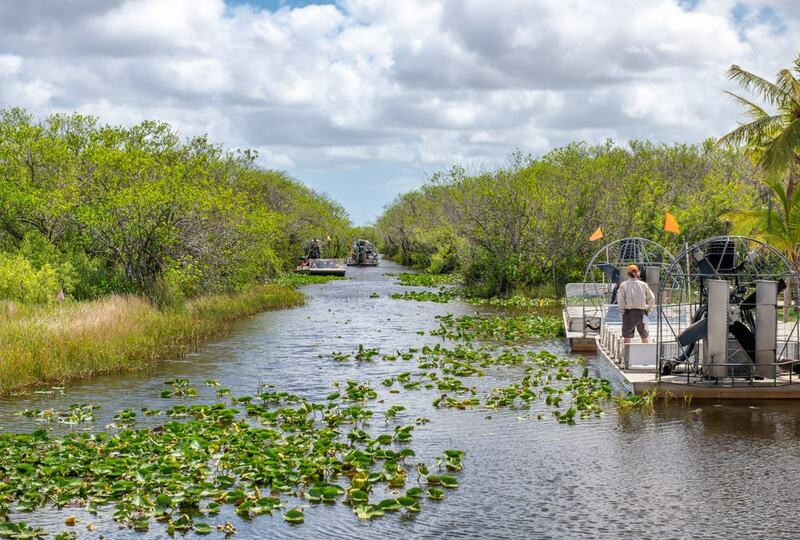 The Florida Everglades are a national treasure, and for nature-minded visitors who’ve got the time to spend exploring the one of a kind area, an airboat tour is the way to go. Full of saw grass, swamps, gators, and panthers, Everglades National Park is one of the state’s most rugged and natural areas, drawing visitors from all over the world. Airboats are an exhilarating way to see this natural wonder. They’re loud, powerful and skim over the water’s surface. Unlike traditional boats, they don’t get hung up on the submerged vegetation. Park entry fees aren’t included in the cost of this tour so bring a few extra bucks. You may feel like Don Johnson on this adrenaline-filled speedboat tour of Star Island and South Beach, but sadly, there won’t be a white Ferrari waiting for you in the parking lot when it’s all over. The tour lasts less than an hour; it includes some of the city’s most swanky neighborhoods and beaches, and some amazing art deco mansions worthy of a few photographs too. 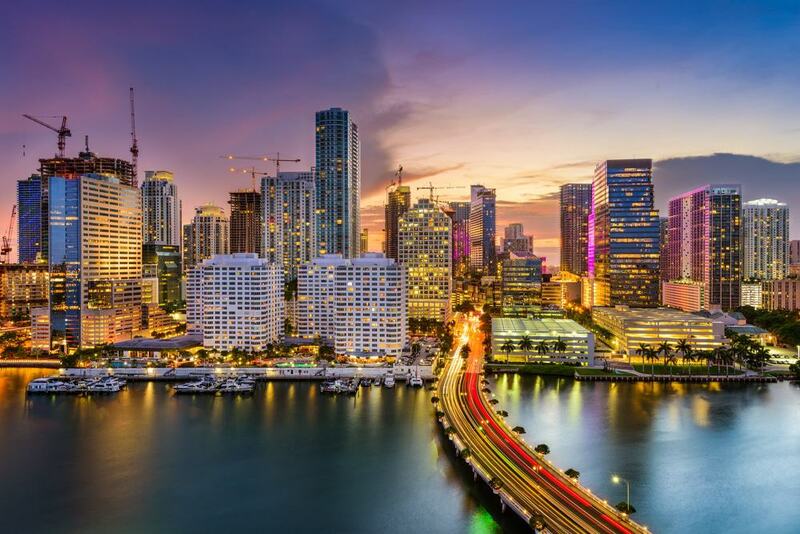 Few places in the country offer such a unique combination of natural beauty, unique architecture, and iconic city vistas as Miami does, so if you’ve got an hour or so to kill, take advantage of it. Don’t forget your sunblock and sunglasses. If you’ve got a set of wheels and lots of time it’s possible to drive to The Keys from Miami; though it’s an amazingly scenic trip, it does take hours. If you’d like to see the open expanse of islands, bridges and shimmering seas without the hassle of renting a car, consider this 40-minute flight tour with lunch. It’s a two-person tour only, so it offers guests an intimate experience, making it great for couples. 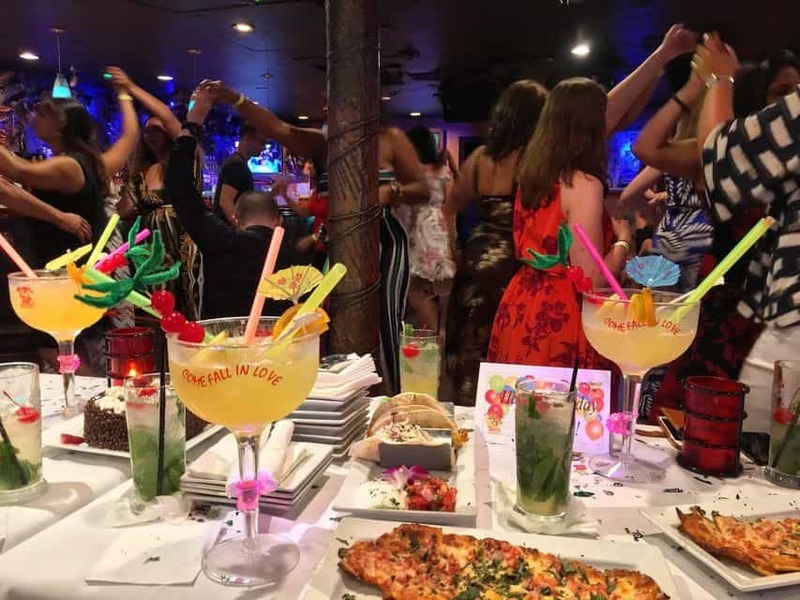 It includes lunch at the Lorelei Cabana Bar and Restaurant, which is known for its tasty food, picturesque setting, and laid-back and comfortable tropical atmosphere. With its Latin and Cuban influences, fantastic seafood, and abundance of celebrity chefs, the food scene in Miami is second to none. This culinary walking tour is a great way to see the city, sample some of its most delectable offerings, and get a historical overview of the area. The tour includes a fair amount of walking, lasts about three hours, and includes stops at some of the most popular buildings in the city’s well-known Art Deco District. You’ll visit five local restaurants, and you might find a thing or two that you’d like to explore further when the tour is over. Miami is known for its nightlife and is home to some of the country’s most chic clubs, many of which are off-limits to average Joes. With so many choices, it can be difficult for visitors to figure out where to go and how to get in. If those are things you’d rather not fuss with, this food, dancing and nightlife tour would be a great fit. The clubs on Ocean Drive open early and don’t stop until the sun is peeking up over the horizon, so this tour is best enjoyed by those young souls with plenty of endurance. Segways are fun and unique modes of transportation, and great ways to see the sights without exerting too much effort or breaking a sweat. Granted, you’ll be pegged as a tourist, but don’t let that stop you from enjoying this inexpensive tour of Star Island and Miami Beach. The tour’s highlights include the Versace Mansion and the world-famous Art Deco District. Don’t worry if you’re not a Segway pro; you’ll get a lesson on how to use the machine safely. Remember you’ll be out in the hot Florida sun, so bring a hat, shades, and sunblock if you burn easily. Comprised of nearly 50 bridges spanning an array of islands, the trip from Miami to Key West is one of the country’s most exotic drives, giving guests a unique insight into the region’s geography and ecology. Key West is the southernmost point in the continental United States and includes some interesting historical sites, like the Ernest Hemingway Museum, Key West Shipwreck and Treasures Museum and the Key West Aquarium. The tour lasts a full day and hits many of the remote island’s historical and cultural hotspots. Click the link below for specific pricing, scheduling and included and excluded items. With so much sea, sand and surf it’s no surprise that Miami boasts some amazing sunsets. Though they’re brilliant no matter where you see them, there’s something special about experiencing them by airplane. This one-hour tour leaves early enough to get the best position possible. 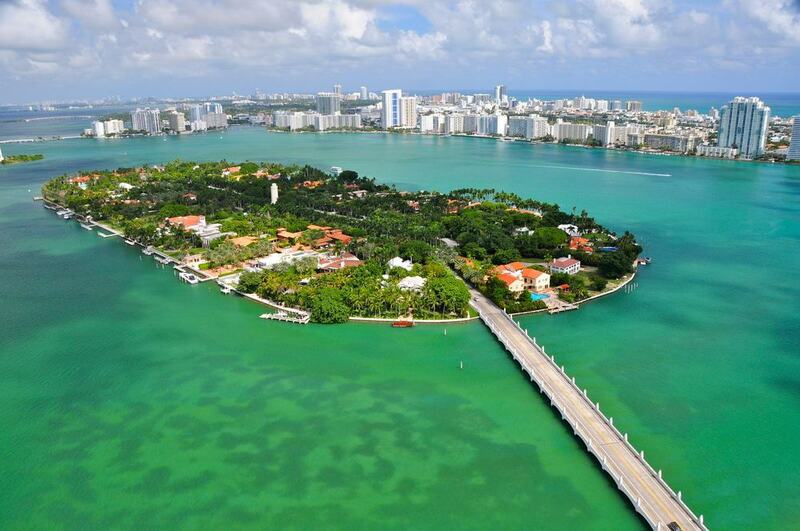 Along the way, guests will see famous Miami Beach and the narrow roadway stretching over the horizon to the keys. Start times vary depending on the season, so check online for specifics. Due to its relatively short duration, you’ll still have plenty of time left to schedule an evening activity or two. For those diehard foodies who like to stretch their legs and see things from street level, this Little Havana walking and food tour would be a great fit. 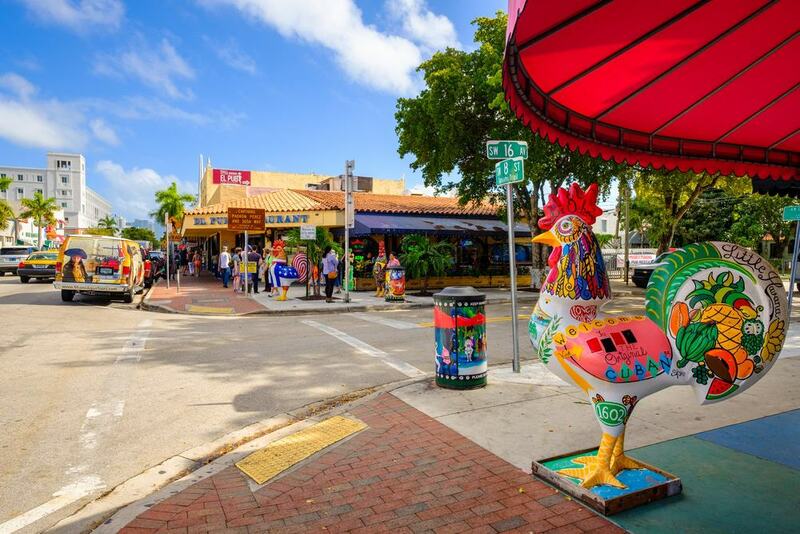 Miami’s Little Havana is one of the city’s cultural centers and has had tremendous influence in the areas of art, cuisine, culture, and politics since the mass Cuban migrations to the United States in previous decades. Your local guide will lead you to some of the neighborhood’s best eateries. You’ll learn a lot about the area’s history too, including the Mariel Boatlift which took place in the ‘80s. The tour lasts about two hours, so come hungry and wear comfy shoes. The Seminole Indians eked their livings from the abundant natural resources in the Everglades for generations before European settlers showed up and kicked them off their ancestral land. It’s a sad story, but taking a trip to the Seminole Reservation in the Everglades is a fascinating cultural and historical activity that is a great way to spend a day. 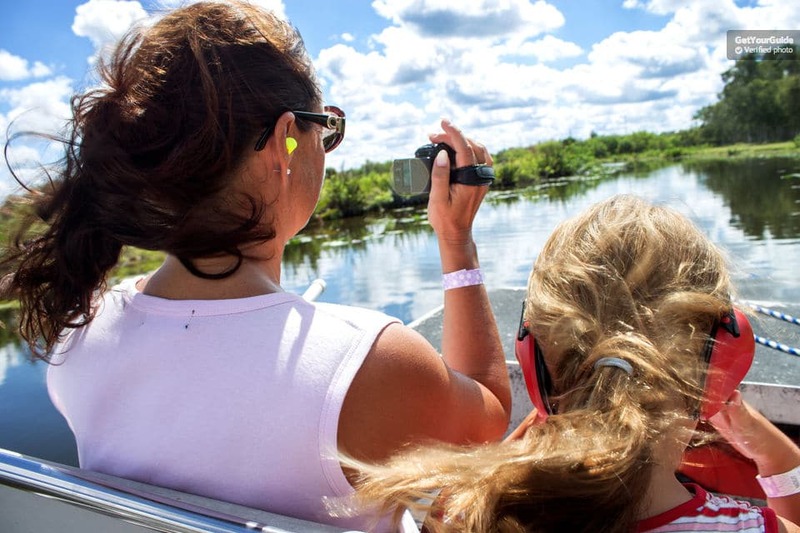 You and your travel companions will be transported via airboat into the natural sanctuary, where you’ll see gators, wading birds and maybe some wild boar as well. For a truly unique experience, consider booking an overnight stay in one of the park’s huts. Don’t forget your bug spray. If you’ve ever dreamed of saying, “Say hello to my little friend,’ just like Tony Montana did in Scarface, then you’ll probably want to spend a few hours on this one of a kind exotic firearm experience. 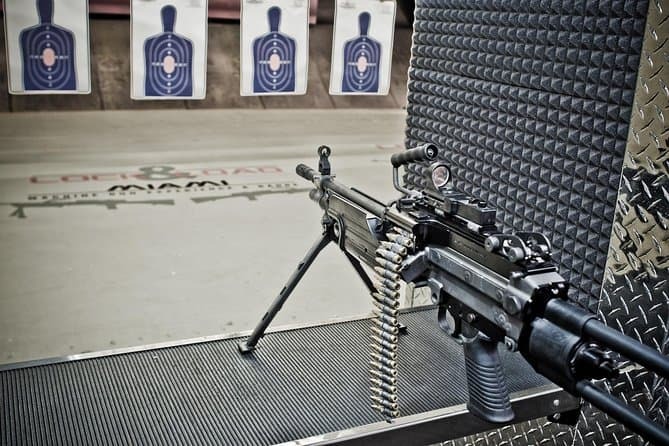 Shooting guns is downright fun; in this safe and professionally controlled environment, you’ll have the opportunity to squeeze off a few rounds from lots of rare hardware that’s only available to the military and specialized facilities like this one. 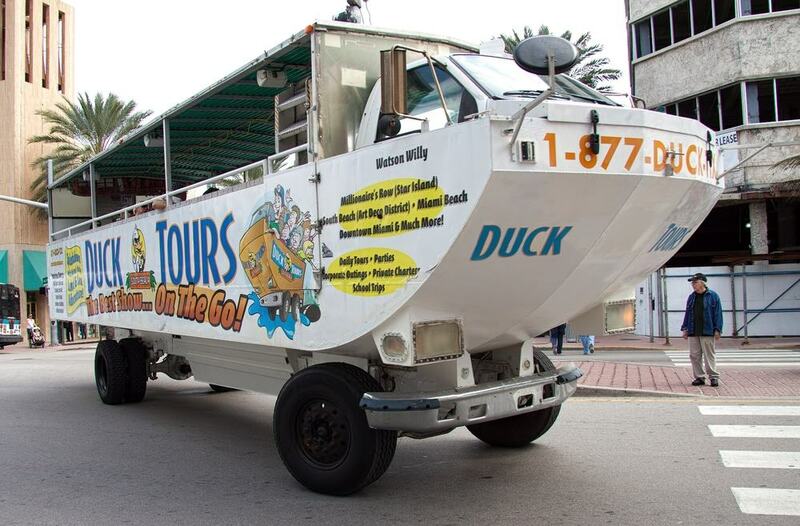 Miami’s iconic duck mobiles have been ferrying tourists around the city for ages, and are a great way to see the city’s sites. The driver-guide will give you lots of interesting historical insights as you cruise through South Beach, Miami Beach and unique neighborhoods like Little Havana and the Art Deco District. For those who’ve just arrived in town, it’s a fun and inexpensive way to get a thorough overview of the city’s layout and discover some things that you’d like to check out on your own later on. If you want to blend in with the fashionable Miami crowd, consider leaving the nylon fanny pack at the hotel. Florida’s Kennedy Space Center has been the launch site for the country’s spacecraft for decades. This tour from Miami is a great way to delve into the center’s fascinating scientific and historical past. It’s a bit of a drive, but the trip includes a stop at some popular outlets as well. 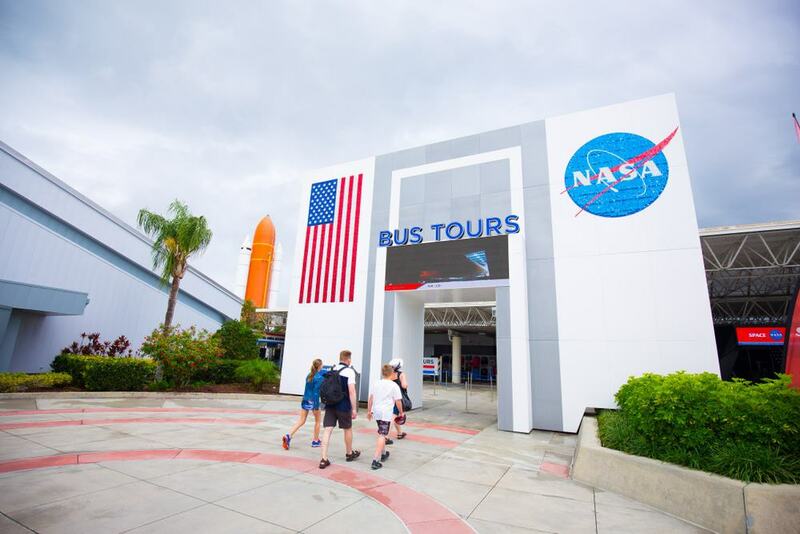 The space center includes a great visitor’s center, museum and IMAX Theater, all of which are big hits with adults and children alike. Entrance fees and roundtrip transportation are included, but lunch isn’t, so bring a few extra bucks. Especially for those travelers with limited time and a tight schedule, this four-hour city highlights tour with a local guide would be an efficient and cost-effective way to see most of the city’s favorite destinations. 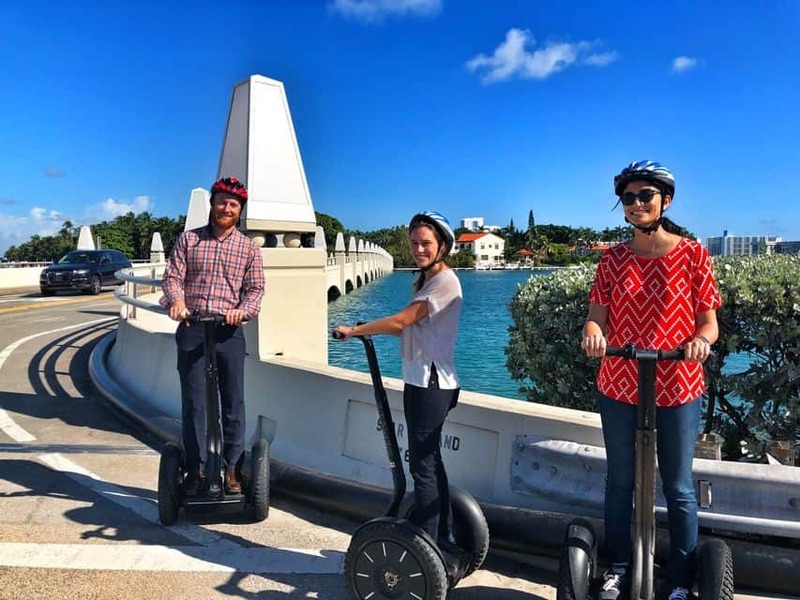 Biscayne Bay, Coconut Grove, Little Havana, and the Art Deco District are on the tour’s itinerary, and since roundtrip transportation to and from your South Beach area hotel is included, it couldn’t be easier. You’ll get a running historical, cultural, and architectural narration as you pass by each area, which is much more in-depth than it would be if you saw the sites on your own.